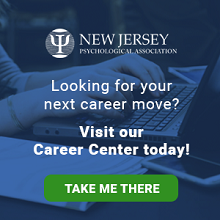 NJPA is fully committed to conducting all activities in strict conformance with the American Psychological Association's Ethical Principles of Psychologists. NJPA will comply with all legal and ethical responsibilities to be non-discriminatory in promotional activities, program content and in the treatment of program participants. The monitoring and assessment of compliance with these standards will be the responsibility of the Executive Director or his/her designee in consultation with the Council on Continuing Education Affairs (CoCEA) Chairs and CoCEA Committee Chairs. While NJPA goes to great lengths to assure fair treatment for all participants and attempts to anticipate problems, there will be occasional issues which come to the attention of the NJPA Executive Board, CoCEA and/or NJPA Central Office staff requiring intervention and/or action on the part of the Executive Director or his/her designee. This procedural description serves as a guideline for handling such refund requests and grievances. In the event a participant wishes to rescind his/her enrollment of an NJPA continuing education program, refunds may be requested in writing, via the NJPA online form, up to 14 days before the event. Written requests for refunds will be acknowledged within one = business day. Refunds will be provided in the manner in which the participant paid. Money will be refunded less an administration fee. If within 14 days of the program the participant experiences an extenuating circumstance that prevents him/her from attending the program, the participant shall submit in writing a request for consideration of extenuating circumstances. The Council on Continuing Education Affairs (CoCEA) will consider the written request in determining if registration credit towards a future continuing education program will be granted. Registration credit will be granted up to 50% of the missed program cost and is good for 12 months from the date of the missed program. 1. If the grievance concerns an instructor, the content presented by the instructor, or the style of presentation, the individual filing the grievance will be asked to put his/her comments in written format. The executive director or his/her designee, will then pass on the comments to the CoCEA chair and then the program instructor, assuring the confidentiality of the grieved individual. c. accept a written request for a partial refund of the workshop fee. Actions 2b and 2c will require a written note documenting the grievance for recordkeeping purposes and presentation to the CoCEA. The note need not be signed by the grieved individual. Questions regarding grievances and refund requests can be sent to the NJPA Council on Continuing Education Affairs (CoCEA) Chair - Marc Gironda, PsyD. Dr.Gironda can be reached at [email protected] or (973) 533-1195 or the NJPA Executive Director, Keira Boertzel-Smith at [email protected] or (973) 243-9800.